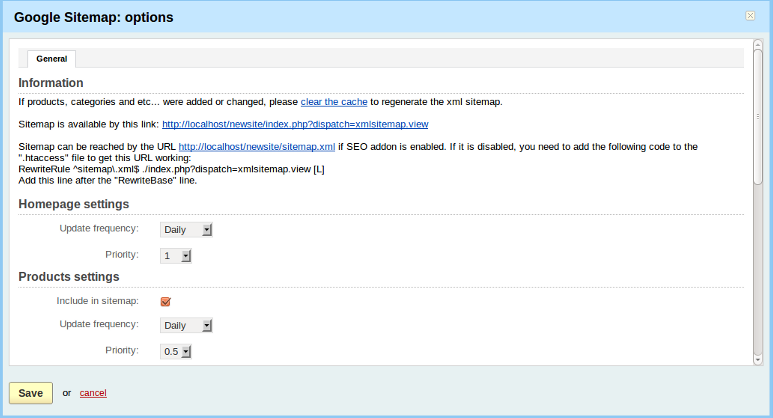 Due to the Google Sitemap add-on the XML site map is generated. it allows search robots to index the website more effectively by defining the location of website pages, the last update time and its frequency. This is especially important for big stores with a large number of pages. Select the priority you need in the Priority: drop-down list. The options above can be set up for the following entries: Homepage settings, Products settings, Categories settings, Pages settings, News settings, Extended feature pages settings. Please note that the All check boxes should be ticked off for the User groups: option on the settings page of these entries. "So much info in so few words. Tostloy could learn a lot."